Risingham Roman Fort was built in the second century AD as one a chain of outposts that extended north to the Antonine Wall, the Roman frontier in central Scotland. When the Romans withdrew to Hadrian's Wall, 12 miles to the south of Risingham, the fort remained occupied. Attacked several times, it was abandoned in the fourth century. The fort at Risingham, known to the Romans as Habitancum, was built by the Sixth Legion (Legio VI Victrix) probably during the reign of Antoninus Pius (AD 138 - 161). At this time the Romans had established the Antonine Wall, a frontier that stretched along central Scotland between the Rivers Clyde and Forth. Risingham was located on Dere Street, the main Roman Road that ran north along the eastern spine of Britain heading towards that frontier and beyond. To the south was the Roman supply depot at Corbridge and the forts of the then abandoned Hadrian's Wall (the nearest outpost being Halton Chesters) whilst to the north was the fort at High Rochester (Bremenium) near the current English/Scottish border. Like most Roman forts of the period, Risingham was an earth and timber fortification which was configured in a 'playing card' layout. It was built upon a north-west/south-east axis and enclosed an area of around four acres. Multiple ditches, perhaps as many as four, surrounded the site. The purpose of the fort was control of the road crossing over the adjacent River Rede whilst its proximity to that waterway would also have enabled it to be resupplied by vessels of the Classis Britannica. Risingham Fort remained occupied when the Roman frontier returned south to Hadrian's Wall in the early AD 160s. This placed the fort in an exposed position some 12 miles to the north of the main military presence in the region and a vital link to the outpost at High Rochester which also remained occupied. 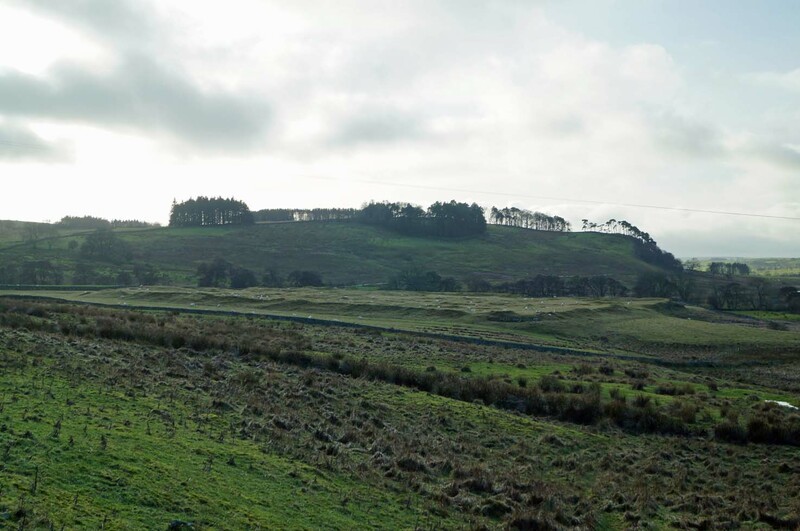 The garrison at this time may have been the Fourth Cohort of Gauls (Cohors Quartae Gallorum Equitata), a combined cavalry and infantry regiment that had previously been assigned to Castlehill on the Antonine Wall and would later be posted to Vindolanda. However, by the early third century the garrison had changed to the First Cohort of Vangiones (Cohors Primae Vangionum). This force was raised in what is now Germany and was a one thousand strong mixed infantry/cavalry regiment. Risingham was attacked and destroyed in AD 197 during a northern war. The area was eventually pacified by Emperor Septimius Severus during his campaigns of AD 208-10 and Risingham Fort was rebuilt. The new structure had stone walls fronted by sandstone, infilled with rubble and backed with an earth rampart. Stone corner towers and internal towers were located along the wall. A bath house was located within the ramparts. An undated inscription suggests the Second Cohort of Nervii (Cohors Secundae Nerviorum) may have been based at the fort at some point in the third or fourth centuries. Risingham was attacked again in the late third century (probably in the attack of AD 296) by the Picts - a coalition comprised of the Caledones and Maetae tribes. The fort was rebuilt in AD 306 but destroyed again shortly afterwards and this time abandoned. This may have been a deliberate decision to pull back forces from north of the Wall and may have been made as early as AD 312 (under Constantine the Great) as the price of peace with the northern tribes. It may equally have been the realisation that it was no longer safe or viable to retain a military force north of the Wall. The site was abandoned after the Romans left but later was the site of a small medieval hamlet that was finally abandoned in the early nineteenth century. Berggren, A. J (2000). Ptolemy's Geography. Princeton University Press. Breeze, D.J (2002). Roman Forts in Britain. Shire Archaeology, Oxford. Breeze, D.J (2011). The Frontiers of Imperial Rome. Pen and Sword Books Ltd, Barnsley. Campbell, D.B (2009). Roman Auxiliary Forts 27BC-AD378. Osprey, Oxford. Collingwood, R.G and Wright, R.P (1965). The Roman Inscriptions of Britain. Oxford. Davies, H (2008). Roman Roads in Britain. Shire Archaeology, Oxford. Fields, N (2005). Rome’s Northern Frontier AD 70-235. Osprey, Oxford. Historic England (2016). Habitancum Roman fort, List entry 1008561. Historic England, London. Hobbs, R and Jackson, R (2010). Roman Britain. British Museum Company Ltd, London. Ordnance Survey, Historic England and RCAHMW (2016). Roman Britain. 1:625,000 Scale. Ordnance Survey, Southampton. Waite, J (2011). To Rule Britannia. The History Press, Stroud. Risingham Roman Fort is located on private land with no public access but the site can be seen from an adjacent road. The remains consist of the earthworks of a Roman Fort platform in the traditional ‘playing card’ configuration including masonry remains of one angle tower. Also visible are the outlines of buildings associated with a medieval village. Risingham Roman Fort. The remains visible today date from the early third century AD when the fort was rebuilt by Emperor Septimius Severus. Angle Tower. Most of the masonry has been robbed from the site but the foundations of one corner tower are visible. Fort Site. The fort can be viewed from a public road. 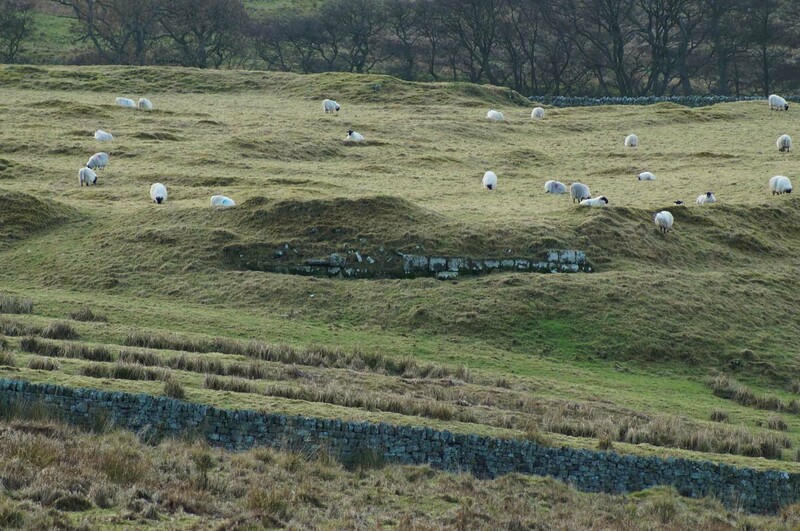 Risingham Roman Fort is found on the A68 to the south of West Woodburn. It is located on private land with no public access but the earthworks can be viewed from a farm road that runs to the east and south.